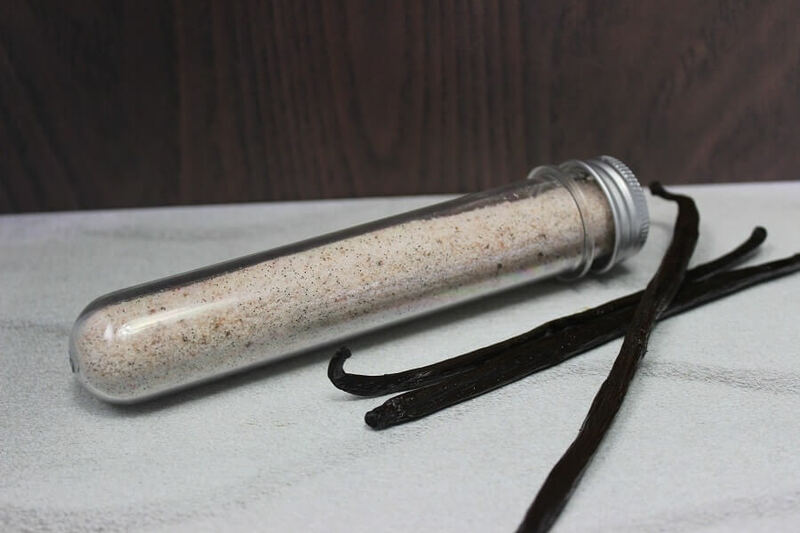 This Vanilla Salt is great for desserts. Imagine this sprinkled over some strawberries and cream, or on top of a salted caramel slice – OMG yummmmmm! We made up a batch of salts for teachers gifts last year and presented them in these cute little test tubes. They were very well received! They are really simple to make and affordable and you can find all 4 flavours can be found on our website. 1 Sistermixin' Organic Vanilla Bean, split in half and the seeds removed from the inside. Split vanilla bean in half and scrape out the seeds. Place seeds and salt into your thermo jug and mix 15 seconds/speed 3. Pour into test tubes or container of choice.